Earn $0.95 in Rewards credit. Click to learn more. Chrome's Ankle Socks are made from super comfortable Merino wool to keep your feet warm while keeping moisture away from the skin. Perfect for riding or any outdoor activity. Available in Charcoal. I like to ride with ankle socks in warm weather. I was using regular cotton ankle length sport socks but prefer wool socks for cycling. 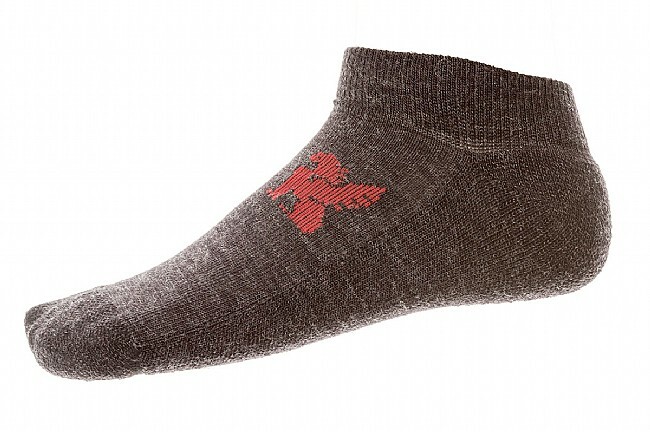 These merino wool socks are great for wicking away moisture and helping feet stay dry and cool on hot humid days. I wear a size 13 shoe and the XL chrome merino wool ankle socks stretch to fit my foot, retain their shape after washing, and don't seem to be affected by stretching to fit a bigger foot. These are high-quality mid-weight wool socks. The only thing weird about them is that they are leftright-foot specific. I believe in wool. It is comfortable and durable. The low cut socks are perfect in warmer weather. Expensive. But very comfy and stylish. Good option if you don't want the cuff. Though with Merino wool, since there's no itch, I'd go for the cuff in most situations. Sock was snug when it arrived, consider ordering size bigger.